This Universal Sound Therapy Protocol was designed to help your body overcome your dental problems before having a root canal or to help your body recover from that procedure. Root Canal’s can be very painful, if you have just had a root canal or are trying very hard to avoid having one then you have come to the right place. Since you are here on our site, I feel safe in saying that you are probably looking for a remedy or treatment that is not only kindler/gentler, but one that really works. Congratulations, we have the right fix for Root Canals. Here is a brand new thought for you. Sound Therapy for Root Canals or tooth pain, bet you haven’t had that thought before. We know that because Sound Therapy is our job and we know it is one of the last things people try. Why? Well we are not in the main stream and even though it’s been around for thousands of years, it is not that well known. Let me give you a little insight into sound therapy. Just how does this stuff work? Well I can tell you that it isn’t birds singing or subliminal messages hidden under classical music. First you need to understand that everything vibrates and has a set frequency. Your skin has one frequency, your muscles, your heart; your liver … each has its own frequency. When you understand this, then you can understand that science has been able to identify these frequencies and have been able to duplicate them. 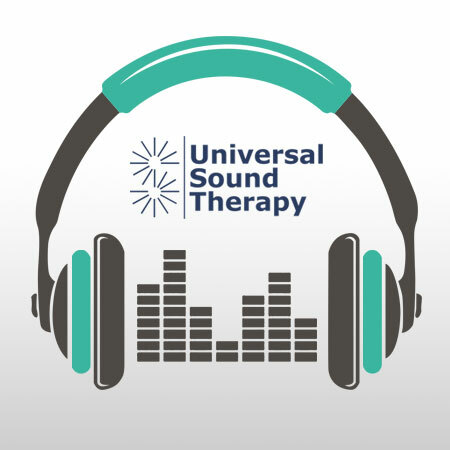 What we have done at Universal Sound Therapy is to take those frequencies and develop a protocol or series of frequencies that address all the various issues related to your teeth and pain. Universal Sound Therapy records these frequencies on a cd format which you play back to your body via headphones. Your body hears the correct frequency that it should be vibrating at and makes the needed changes to heal itself. In short the pain stops and your body heals your tooth. Your body wants to feel good, it wants to be healthy and our therapy helps make it happen. There you have it, welcome to Universal Sound Therapy; we provide sound therapy recordings designed specifically for tooth pain. It helps your body heal its own teeth and helps you recover faster if you have already had a root canal. We have been involved in sound therapy for the past five years and have many clients that are healthier and happier now then they were before they met us. Our method of therapy is effective and very easy to use. Just sit back, relax, read a book or take a nap, put on your headphones and let the vibrational frequencies in. We hope you will try our sound therapy because we know how much having tooth pain can get in the way of living. In fact we are so sure about our product, we’ve taken away all of the risks of trying it. When you go to the doctor, do they offer a satisfaction guarantee? They do not. When you buy supplements do they let you return an empty bottle because the stuff didn’t work? No? Well we’re not in the business of selling hope and empty promises. We are in the business of treating tooth pain and root canal recovery with sound therapy. And whereas we can’t guarantee that it’ll work for everyone, we absolutely guarantee that if it doesn’t, we’ll give you your money back with a smile and our thanks for giving it a try. Give Universal Sound Therapy’s Root Canal Remedy a try. You have nothing to lose but the pain.